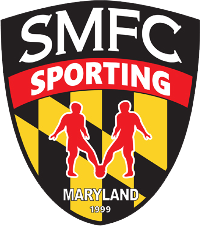 Sporting Maryland Futsal Club was established in 1999 in the Southern area of Maryland and was originally founded as Southern Maryland Futsal Club (SMFC). SMFC has been at the forefront of the Futsal evolution in the U.S. and was one of the first Futsal clubs created in the United States. Initially the Men’s team was the focus but shortly after their early success and innovation, the founding of SMFC Academy was added and became a strong identity of the Club. As the success of the Men’s team grew, so did the enrollment numbers of the Academy, now in the range of 150+ players per year. Over the years SMFC has been honored with 25 State Championships, 10 Regional Championships, and 5 National Titles. The Academy has created top players that have gone on to play in all divisions of college soccer, graduated to the First Team, and represented the U.S. Men’s Futsal National Team. Along with domestic success, SMFC First Team has been able to showcase their teams on the international stage. Competing in the Intercontinental Cup, Nations Cup, and Golden Cup on several occasions. With the positive state of the club and the clubs strong value system, the continuance of these experiences for the First Team as well as the academy will only grow. To learn from the best and to compete against the best. As the growth of Futsal and its awareness in the United States has improved, 2017 brings Sporting Maryland into a new era. The birth of the United States top Professional Futsal League, National League of Professional Futsal, has given Sporting Maryland and the U.S. what has been long awaited for, Professional Futsal. In 2017, SMFC finished as finalists in the inaugural season and are excited to again be partners in the pioneering of this truly beautiful game!